Make Votes Matter - Scotland leads the way: why not PR for Westminster? Proportional Representation is now almost taken for granted in the Scottish Parliament. Is it time that UK general elections followed suit and adopted a voting system in which all votes count and Parliament reflects the people? 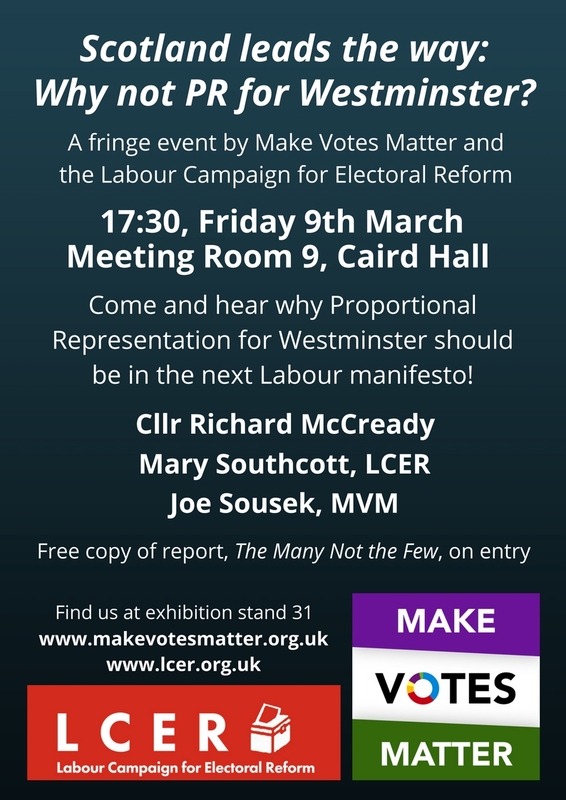 Join Make Votes Matter & the Labour Campaign for Electoral Reform to discuss the case for electoral reform at Westminster, and find out what you can do to help make it a reality.